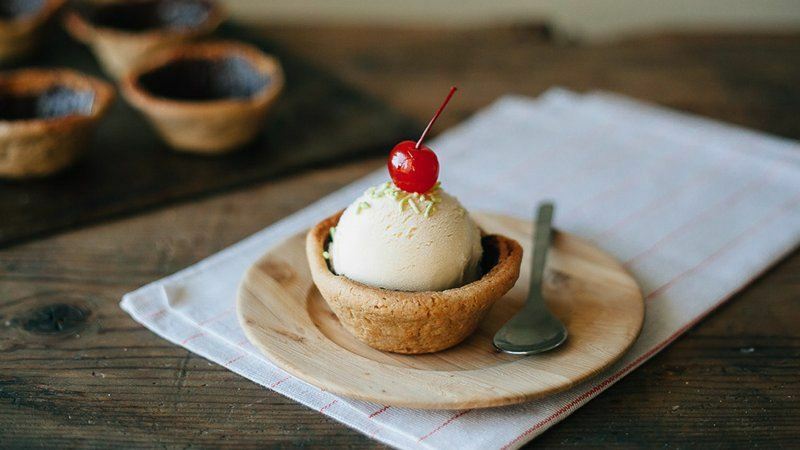 Blogger Molly Yeh from My Name is Yeh nixes the store-bought ice cream cones and serves ice cream in chocolate-lined peanut butter cookie bowls. and spray bottom(s) with cooking spray. , then fill with ice cream and toppings.